The first known colonists of Tinian (Northern Marianas) were people coming from Luzon and using a kind of red painted pottery which is also found in Northern Luzon, Philippines, similar to Lapita (Island Melanesia, Polynesia). However these people seem to have arrived to the Marianas a century or two before the Lapita carriers (precursors of Oceanic languages) reached Melanesia, according to Peter Bellwood. Source and more details: Islands Business (interview with Bellwood), via Pileta. 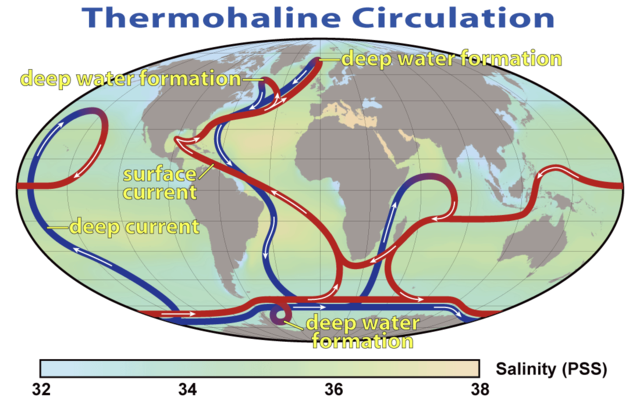 The Atlantic meridional overturning circulation affects the latitudinal distribution of heat, and is a key component of the climate system. Proxy reconstructions, based on sedimentary 231Pa/230Th ratios and the difference between surface- and deep-water radiocarbon ages, indicate that during the last glacial period, the overturning circulation was reduced during millennial-scale periods of cooling. However, much debate exists over the robustness of these proxies. Here we combine proxy reconstructions of sea surface and air temperatures and a global climate model to quantitatively estimate changes in the strength of the Atlantic meridional overturning circulation during the last glacial period. We find that, relative to the Last Glacial Maximum, the overturning circulation was reduced by approximately 14 Sv during the cold Heinrich event 1. During the Younger Dryas cold event, the overturning circulation was reduced by approximately 12 Sv, relative to the preceding warm interval. These changes are consistent with qualitative estimates of the overturning circulation from sedimentary 231Pa/230Th ratios. In addition, we find that the strength of the overturning circulation during the Last Glacial Maximum and the Holocene epoch are indistinguishable within the uncertainty of the reconstruction. In the North Atlantic the best known thermohaline current is the Gulf Stream, which effectively keeps Europe several degrees warmer than it would be otherwise, allowing a relatively dense population at latitudes unheard of elsewhere on Earth. This current was weak at best in the Ice Age. Notice that they say that they can find any difference between present day (Holocene epoch) and the Last Glacial Maximum, so it cannot be inferred, it seems, that the glaciation itself had anything to do with the thermohaline currents but only with some particular cold spells of the late Upper Pleistocene, particularly the HE1 (c. 18-14.6 Ka ago) and the Younger Dryas (c. 10 Ka ago). Source[es]: Servicio de Información y Noticias Científicas SINC (via Pileta). A huge tsunami probably hit the northern parts of Doggerland (the emerged landmass of what is now the North Sea) some 8000 years ago. The evidence from this catastrophic event, which probably affected the earliest inhabitants of NW Europe in a catastrophic way comes from an underwater formation off the Norwegian coast known as Storegga, which was partly demolished by the force of the giant wave, as well as from sedimentary layers at various coastal locations. The wave reached more than 20 meters at the Shetlands, where it left a 30cm-thick revealing layer. 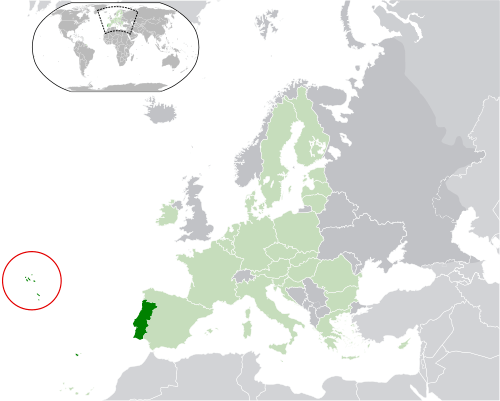 Another possible tsunami may have affected the Southwestern coasts of Iberia in the 7th century BCE. This is currently being researched and could be related to the collapse of the semi-mythical city of Tartessos. Sources: Meteoweb[it], Paleorama[es] (→ link 1, link 2). 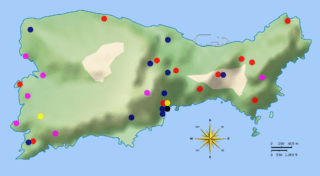 Among the findings cataloged in the last few years Ribeiro mentioned building remains that seem prehistorical, a Roman era inscription, a rock art site in Terceira island and several megalithic structures. Only in the last year, five tombs of the hypogeum kind and three sanctuaries also dug in the rock were located. All the findings are still pending radiocarbon dating however but the style of the rock art is similar to Bronze Age ones from Iberia. However red tape by the regional government is blocking further research: in 2011 for lack of financing and in 2012 for not being withing the frame of a legal decree. The archaeologist denounced that all these extraordinary findings are therefore in state of abandonment. In one case, works in the local airport, carried without the corresponding archaeological survey, may have damage a site. These findings strongly suggest that the navigation skills of Bronze Age peoples of the Eastern North Atlantic (Western Europe, NW Africa) were much more advanced than we usually admit. See also these articles in English language at the Portuguese American Journal: art1, art2. A sunken vessel has been discovered off the island of Capri (Campania, Italy), not far from Naples. The ship, whose details are unknown to me at the time of writing it, was tentatively dated to at least c. 5000 years ago, in the Neolithic (or earliest Chalcolithic) period. It carried a load of obsidian, a prime quality material for tools and weapons (which is said to produce sharper edges than modern surgical scalpels). Sadly, I could not find much information on this most interesting discovery. I wonder if the obsidian was extracted from the Campi Flegrei at Naples Bay and who may have been demanding such a large cargo? I cannot find the paper right now (the CEREGE research center’s website is down?) but several news sites echo that in only 350 years, beginning 14,600 years ago, sea levels rose as much as 14 meters, judging from coral formations near Tahiti (Polynesia). That means on average 1 meter each 25 years. The actual impact of this kind of change varies depending on the relief of the coast but nowadays one such change of just one meter would swallow about 1/3 of the Netherlands, for example.